The right windows in your home can make all the difference. When you’re embarking on a window replacement project, it’s important to take your time choosing the right option. 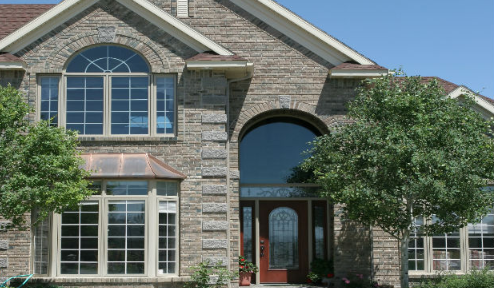 Statewide Energy Solutions provides a wide selection of window styles to suit your home’s specific needs. Double-Hung Replacement Windows – These are an ideal choice for homeowners that want to open both the top and the bottom of the window. This option makes the home more spacious in appearance and is easy to maintain and clean. Single-Hung Replacement Windows – Single-hung windows are sleek and elegant and easy to clean. A single-hung window is wonderful in bathrooms, kitchens and other locations in the home. Casement Windows – These windows are convenient and easy to use, making them a popular choice for homeowners. They allow you to have a clear view of the outside and swing open with a simple turn of the handle. Awning Windows – These are a fantastic addition to a home when you want a solution for ventilation. The top hinges allow you to easily open and shut the awning window as you please and because it swings upwards, you’ll block the rain and debris from entering your space. Bay Windows – Bay windows are an excellent addition to any home because they provide plenty of natural light and give you more room to store and display items. They can even give you more seating room. Bow Windows – If you want to give your home a unique feature and add more natural light to your household, then this style of window is perfect for you. A bow window will project outwards from your home and is generally made of four windows or more for a symmetrical appearance. Garden Windows – Garden windows are a great way to add depth to your space while providing herbs and plant life the ideal amount of sunlight to thrive. Hopper Windows – These windows are perfect for smaller spaces that need a little extra ventilation, such as attics and basements, as well as sheds and garages. Let Statewide Energy Solutions assist you with your next replacement window project. We have decades of window installation experience and can help you choose the right window option for your home. From double-hung replacement windows to casement and awning replacement windows, we boast an impressive selection. Call (214) 960-2798 or submit our online form to schedule your in-home consultation.